One of the things I like about the adaptation style being adopted here is how later episodes “make good” on things said by characters in earlier episodes. 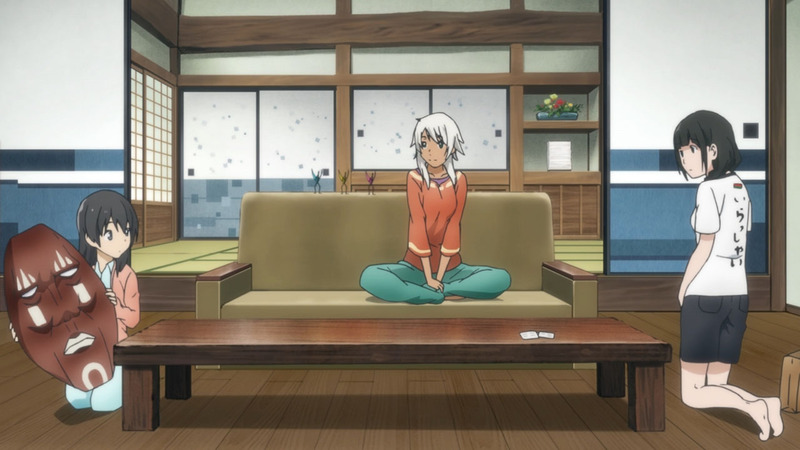 It helps give a sense of continuity of story and lends a bit more weight to the immersion factor side of things. 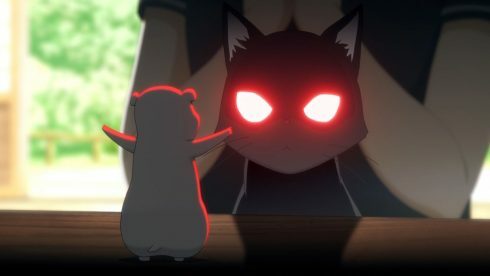 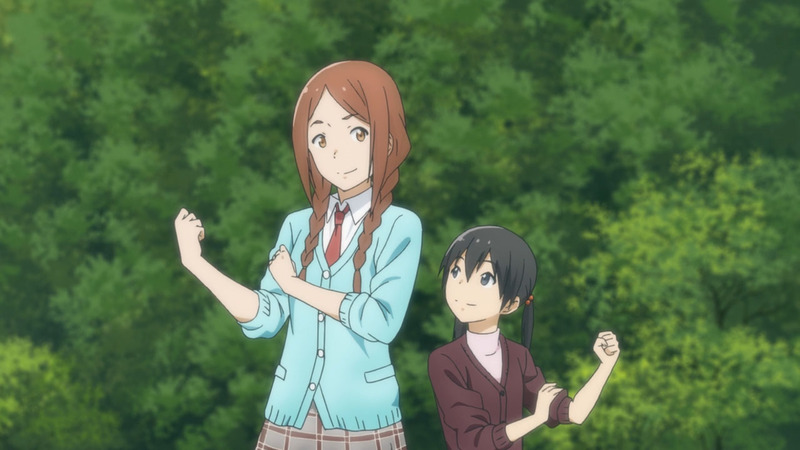 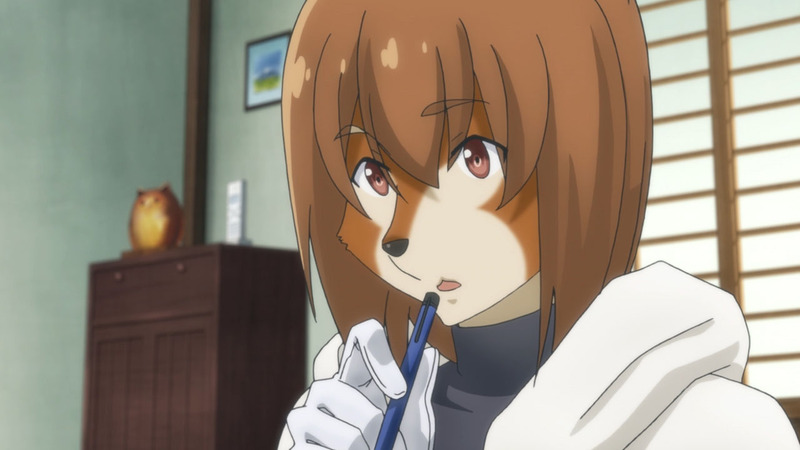 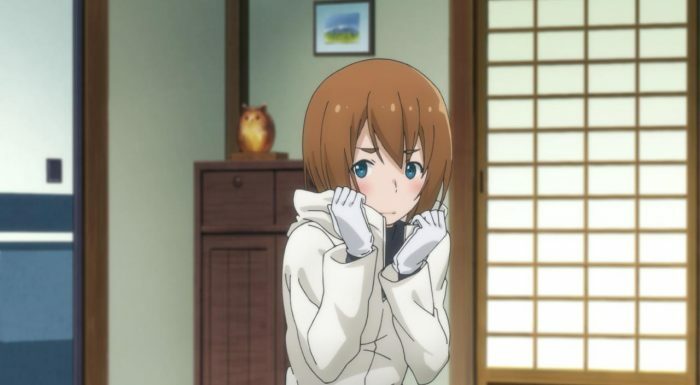 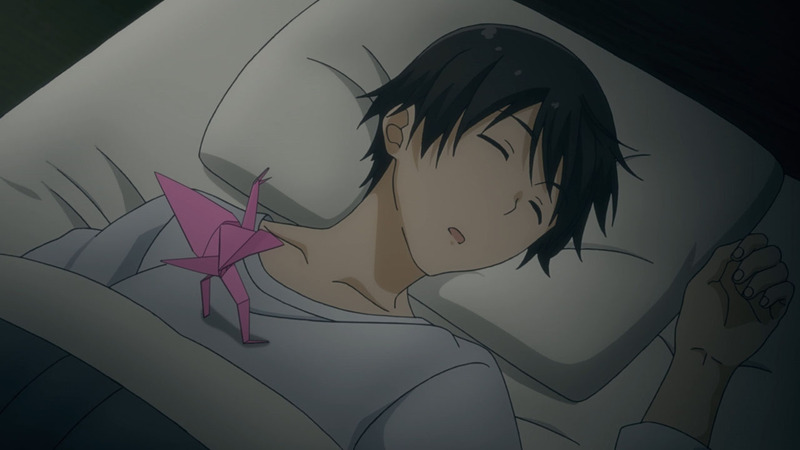 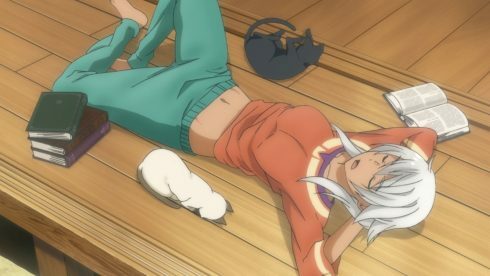 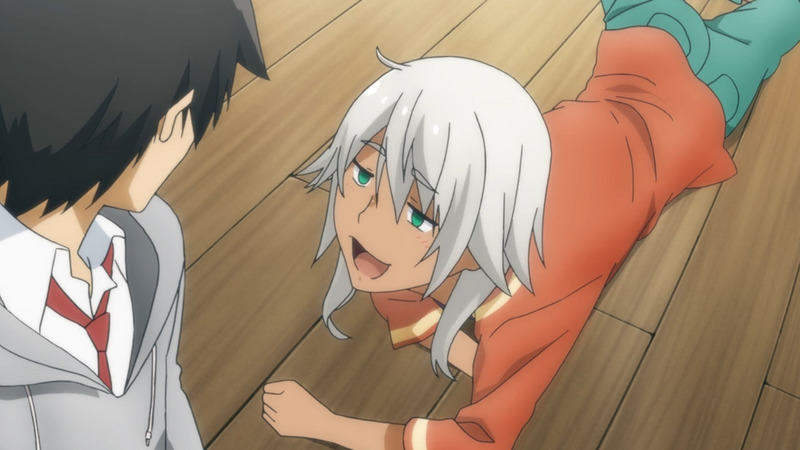 Just as in the mini-arc of the last two episodes we have Akane “making good” on her promise to introduce Chinatsu to more aspects of the “world that the witches move in” during her time as a “probational witch”, so in this episode Inukai “makes good” on her passing comment to her hamster familiar Al on how she felt she should properly apologize to Makoto and the Kowatas (i.e. 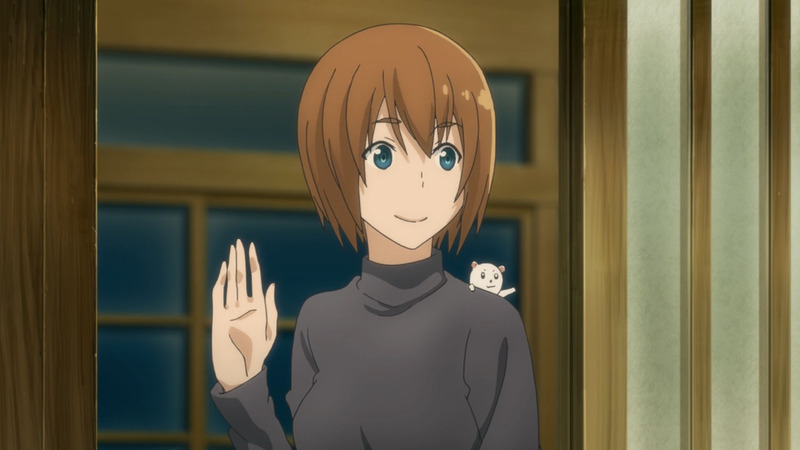 the relatives she is staying with) for making a ruckus on their first meeting. That being said, Inukai’s visit and the information she imparted served as a sort of “picture frame” inside of which the events of this episode took place – and while it was important it did not really “stand out” a whole lot at first glance. The episode opens up with Nana (the mother) showing her daughter Chinatsu some of the pages of her latest work going to press with the aim of getting some feedback – if you remember we were told that she was both a professional illustrator and an author of children’s books in earlier episodes. 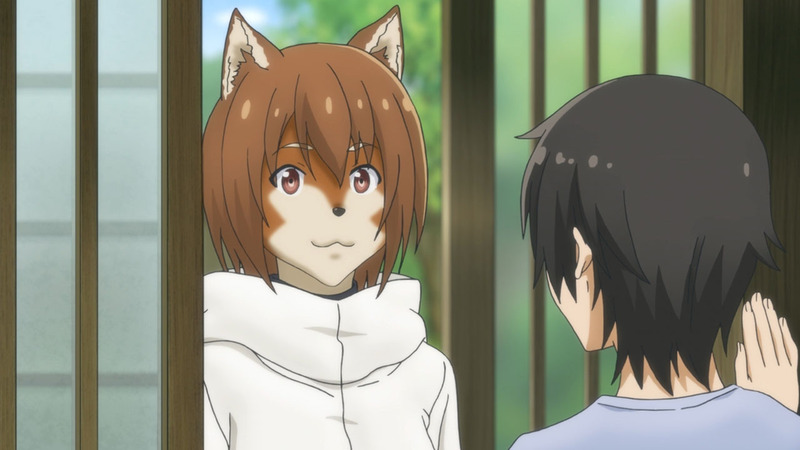 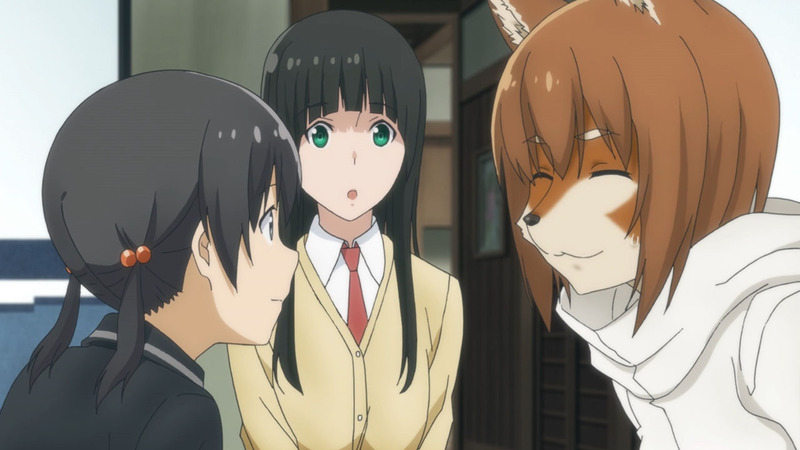 While this is going on (during which Chinatsu informs her puzzled yet ever-unflappable and easy-going mother that foxes do NOT say “kon kon”, and that the fox she met in the cafe the other day barked like a dog) Makoto and Kei return from school and shortly afterwards Inukai drops by to “properly apologize”. She brings some snacks and offers to tell their fortunes for free. 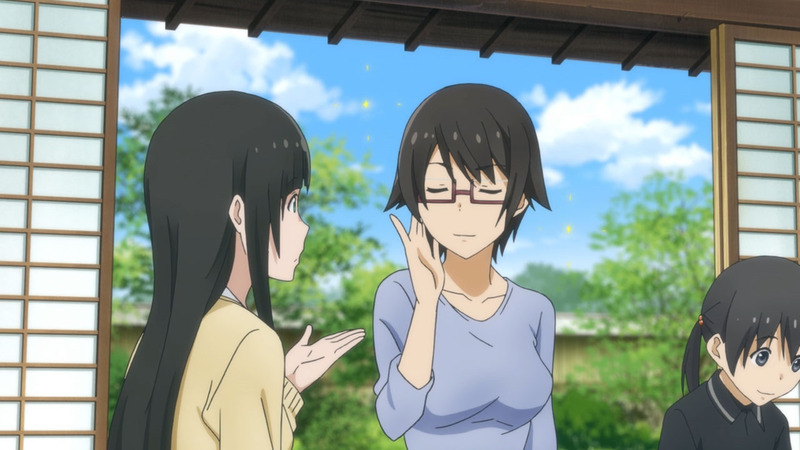 Both Makoto and Chinatsu accept her offer of the free fortune telling reading, and after some indecision on what specific topic to use the fortune telling reading ON it is decided that she will just give each of them a reading for what will happen the next day. 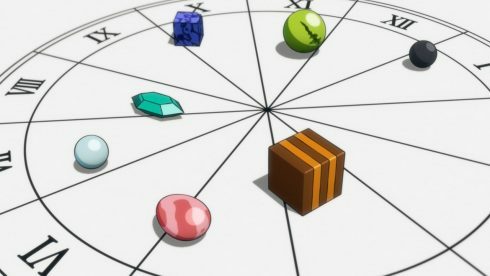 Apparently Inukai uses a style of fortune telling she developed on her own, and is the result of dropping a small handful of stones on a sketched symbol of some sort. Here are the results of the readings: Makoto had “travel, surprise, unnecessary, creative, problem, reunion and gift”, and Chinatsu came up with “two-sided, tradition, travel, unknown, folly, meaningless and treasure.” Inukai makes a few guesses at puzzling out these hints for whatever will take place the next day and while mulling over it night comes on and she reverts to her “bishoujo form” (to everyone’s delight and her bashfulness). 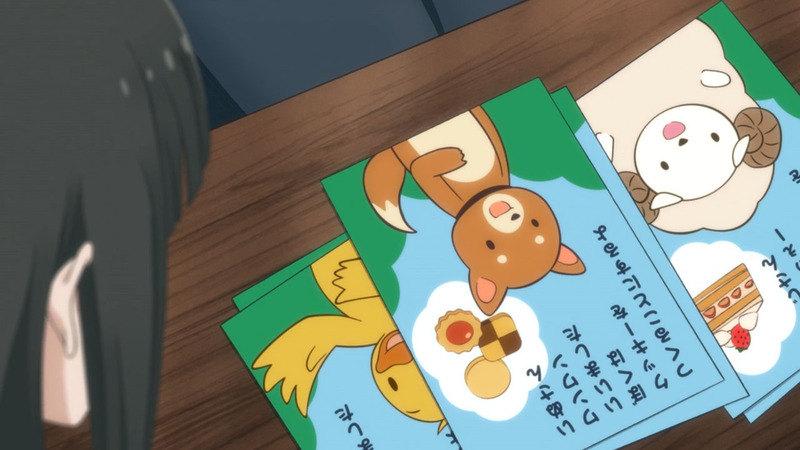 These readings, by the way, are the occasion for the title of the ninth episode, which is “the day after tomorrow is today”. 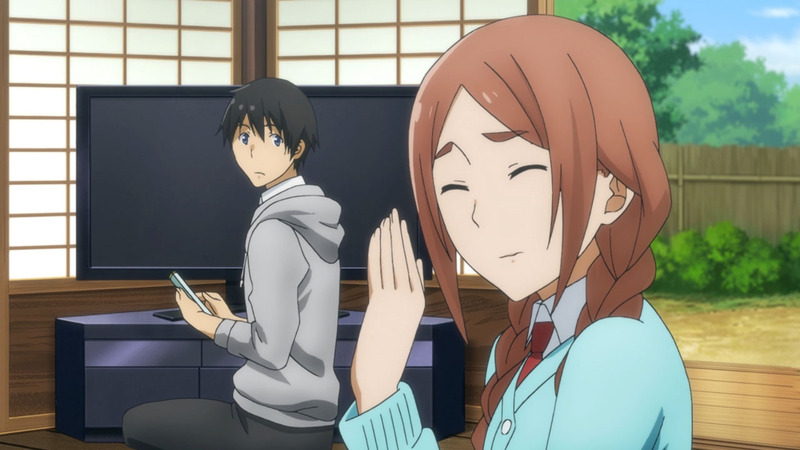 Both Makoto and Chinatsu are excited and curious to see how the results of Inukai’s information will work out, but the day itself goes by in a pretty ordinary manner … unsurprisingly we are presented what happens primarily through the eyes of Makoto (the main character of the series, in case anyone forgot) instead of Chinatsu. 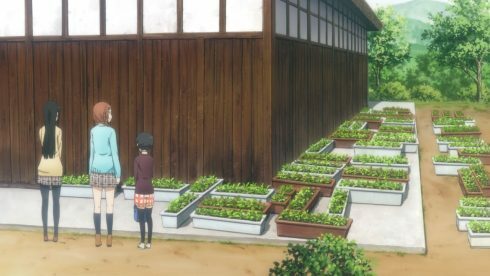 Makoto and Nao chat about things over lunch at school and Makoto invites Nao over to check out how her vegetable garden is doing. 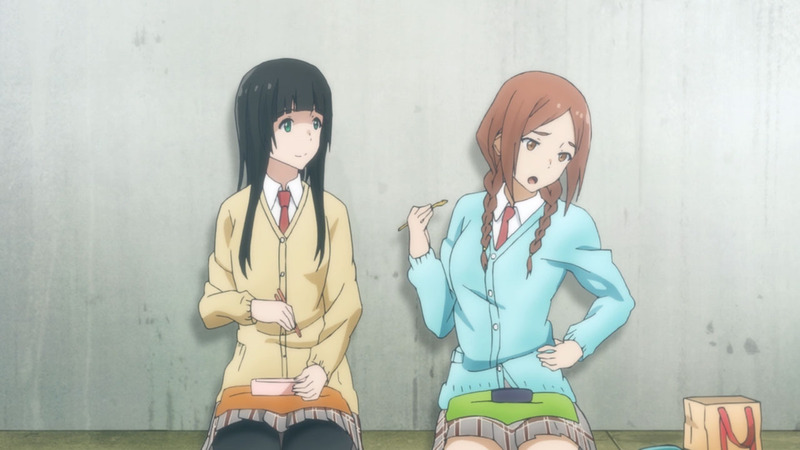 On arriving Nao meets Akane for the first time (asleep), and when Kei arrives home and the two of them start chatting with one another (Makoto is fetching some tea at that moment) Akane wakes up and immediately assume Nao is Kei’s girlfriend. On being informed of her impression Nao says she is not interested in “a thing like him” (uwah -_- ) and Makoto, Nao and Chinatsu head straight outside to pick radishes – which supposedly help you lose weight and are good for your skin?